Traffic tickets are one of the most common ways the average New Jersey citizen comes into contact with the justice system. Whether the infraction is a simple speeding ticket, or a more complex charge such as reckless driving or leaving the scene of an accident, at the Nutley, NJ office of Birkhold & Maider, LLC a New Jersey Traffic Ticket Lawyer will treat your charge with the gravity it demands to get the best possible outcome. Our firm handles all types of infractions including, but not limited to, illegal lane changes, running red lights or stop signs, tailgating/aggressive driving charges, DUI/DWI defense, operating a vehicle without a license, failure to use due caution, speeding/reckless driving, and other incidents involving a failure to follow traffic laws. What Happens If I Get A Ticket In New Jersey? Speeding tickets are common; so is pleading guilty and paying out-of-pocket fines. Speeding tickets can mean higher insurance premiums, or potentially a license suspension for the accumulation of violation points. Many offenders choose to plead guilty and take the penalties feeling that fighting a traffic violation ticket just isn’t worth it – don’t be one of them. Should you retain an NJ Traffic Ticket Lawyer at Birkhold & Maider, LLC, we will examine all the possible variables: If your speed was clocked by radar, the state may be compelled to present certificates showing that the radar gun used was properly calibrated; if it was clocked by laser, the prosecution must show must show that the laser used had been checked and the officer adequately trained in its operation. A skilled traffic violation ticket attorney will look into the maintenance of the laser, and request logs to determine when it had last been checked. We also review the conditions under which it was used. In cases of bad weather, the readings can be inadmissible. Oftentimes having legal representation that understands the charges, and the factors surrounding your case makes the differences between paying costly fees and having your ticket thrown out. When traffic violations have the potential to cost you money, bring in experienced counsel to minimize the potential impacts on your ability to continue to operate a motor vehicle. We will conduct a thorough investigation including scrutinizing the police report to ensure that your constitutional rights were not violated, that there was probable cause to pull you over in the first place, and that once you were pulled over, you were correctly notified of your rights. We will examine the police report to ensure that law enforcement officers did not violate your constitutional rights. We will confirm that there was probable cause to pull you over and that you were correctly notified of your rights. 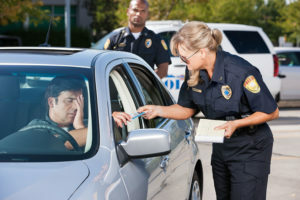 A Traffic Ticket Lawyer at Birkhold & Maider, LLC, will serve accused parties and their families in many townships and jurisdictions across New Jersey including Newark, Belleville, Paterson, Clifton, Passaic, East Orange, Bloomfield, Nutley and other townships in Essex, Passaic, Bergen, Union, and Middlesex Counties, and beyond. Our attorneys represent clients in jurisdictions across the state of New Jersey including, but not limited to, Essex County Superior Court, Passaic County Superior Court, Bergen County Superior Court, Union County Superior Court, and Middlesex County Superior Court, among others.